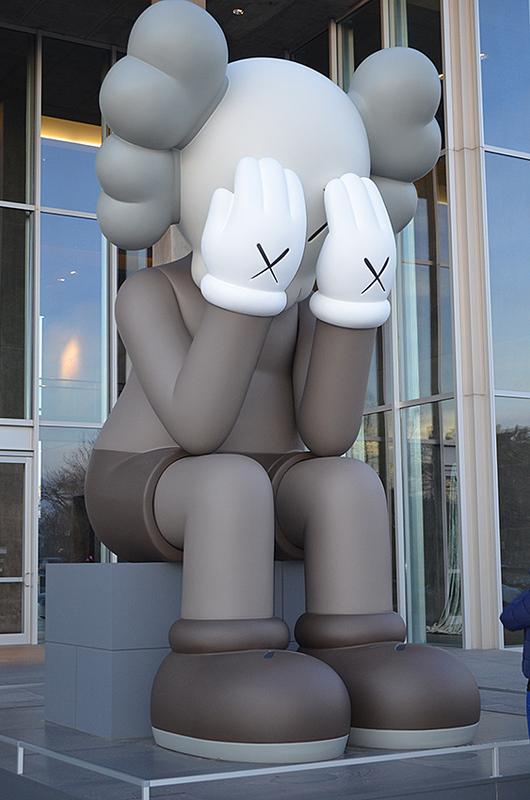 Visiting Fort Worth for iConference? Another visitor that is here is the Companion (passing through). 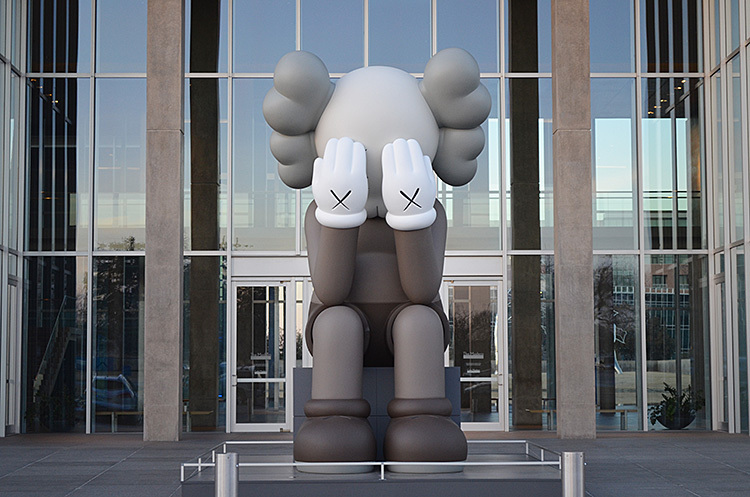 Sitting outside of the Modern Museum, this wonderful fiberglass installation by KAWS reminds me of Mickey Mouse. It was scheduled to leave in January so I wasn’t going to mention it in my blog, however, I learned today that it is going to remain seated here until March 10th. This means you will have time to see him while in Fort Worth!! Photographed from different angles so that you can see how cool it is! 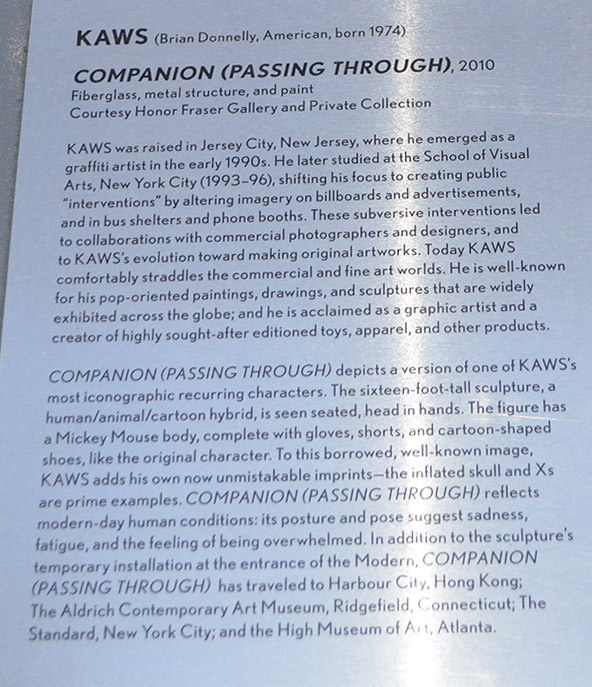 On the museum website I found the following description of Companion (passing through): It “reflects a modern-day human condition. Although we may initially feel connected to it through its familiarity, we also sympathize with what it models to us: its posture and pose suggest sadness, fatigue, and the feeling of being overwhelmed” (Modern, 2013). I love the part about feeling overwhelmed. That is certainly how I feel many times. In particular with all technology fighting for my attention; Facebook, Google+, text messages, and email while I try to do my school work. I guess the hiding behind the Mickey hands really speaks to me. Check him out if you have a chance while you are in Fort Worth!